This is 2013, White Birch Builders has just finished building our house. We are so pleased with the work. It is beyond our expectations. Throughout the building process, Dennis and Marie talked to us almost every week, asking our opinions and giving us suggestions. They have over 30 years of experiences, in the end we took most of their suggestions. Dennis also spent lot of time with us to select the house site. Finally he chose the location he thought was better than the original one. Dennis is a true builder who has an uncompromising standard for material and building quality. We are happy with all the building material Dennis used. Dennis also has an excellent team of sub-contractors. 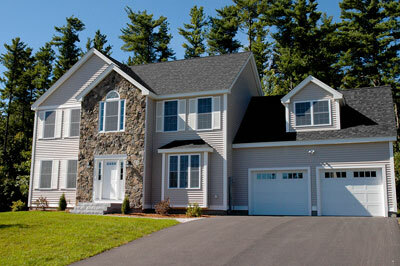 We have seen most of their work: lot excavation, concrete foundation pouring, framing, roofing, siding, plumbing, wiring, etc. All of them held high quality workmanship. The house is insulated extremely well. Dennis sprayed foam between and around windows frames and holes around plumbing pipes, and around electrical wires. The insulation sub-contractor even caulked between studs. I know we are going to be comfortable and have a low energy bill this winter. The framing is so precise, all doors and windows are plumb, level, and square. The house feels sturdy. The electrician wired the house with CAT5 Ethernet cable (8 wires) in place of phone wire (4 wires). This is the second time we built a new house. This time, the house built by White Birch Builders is much better. The whole building process is enjoyable. It's great to see our dream house gradually coming in shape. As parents of young boys, we wanted to build a house that would be our dream home to raise our family. In the Spring of 2006, we toured an open house designed by White Birch Builders and were immediately impressed with the quality of materials used in construction, the appearance, and possible location for our new home. Upon our first meeting with White Birch Builders, we found the owner, Dennis Zibolis willing to listen to our ideas and offered suggestions to consider in the building process. Dennis is a hands-on builder and was frequently found on the job site checking the progress and the quality of the workmanship. Dennis often asked us to come over and verify decisions in the works. We had excellent communication during the building process; and if we couldn't reach Dennis, his wonderful wife Marie was always available. We were renting an interim house during construction and we were about 96% completed for our scheduled move in date. Our current landlord rented his property long term and kindly asked us to talk to our builder and push the date immediately. We didn’t know anyone could work that quickly, but in a snap – White Birch accommodated everyone and we moved in before our due date with nothing pending. White Birch Builders has always been available for us to contact throughout the years to reference plot plans, assist with verify land elevation with our surveyors when we built our pool, getting quotes for our generator installation – even simple questions. It is no surprise that we used them six years later to install custom windows in our dining room and upstairs guest bedroom. We have no reason to ever move, but if we did – White Birch would be our builder. Jen and I built our current house in 2006. It was our first experience building a house and we were nervous about the whole process. We immediately became more comfortable as soon as we met Dennis and Marie. Not only have they built a great reputation over the years, but they are trustworthy, thorough, and very knowledgeable. They were also very responsive to all our questions and concerns throughout the entire process. White Birch met the schedule they provided, there were no “surprises” and the quality and workmanship was very good. We were so satisfied that we contracted with White Birch to finish our basement in 2011 and couldn’t be happier with how that turned out. 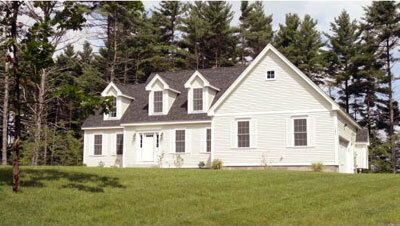 We highly recommend White Birch and know that you will be happy with the results as well.